Several years ago, in the face of irreversible global problems and the devolution of leadership, I began to challenge every leader I met with these questions: Who do you choose to be for this time? Are you willing to use whatever power and influence you have to create islands of sanity that evoke and rely on our best human qualities to create, relate, and persevere? 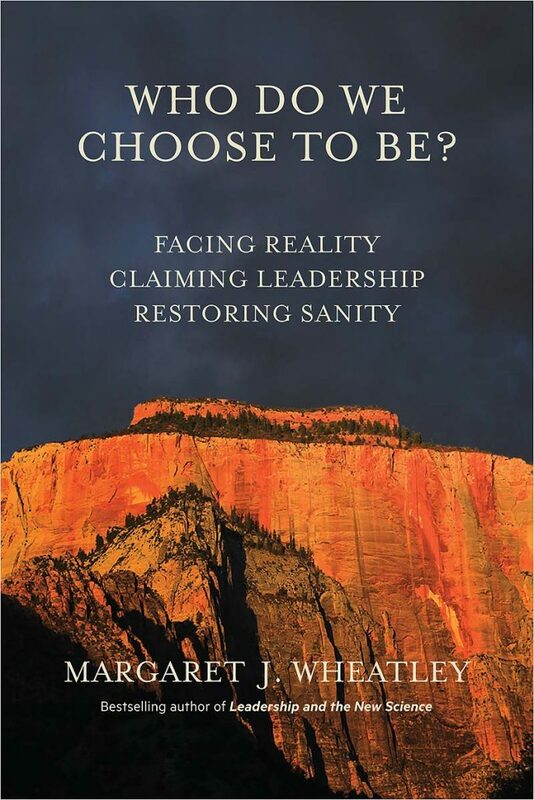 Will you consciously and bravely choose to reclaim leadership as a noble profession that creates possibility and humaneness in the midst of increasing fear and turmoil? This book summons us to be leaders for this time as things fall apart, to reclaim leadership as a noble profession that creates possibility and humaneness in the midst of increasing fear and turmoil by creating Islands of Sanity. https://margaretwheatley.com/wp-content/uploads/2016/12/WDWCTB-Cover.jpg 1200 800 mrode http://margaretwheatley.com/wp-content/uploads/2014/12/logo1.png mrode2016-12-18 15:21:312017-01-09 12:42:09New Book in 2017: Who Do We Choose to Be? As this tempestuous, surreal year draws to a close, and as we face the fearful uncertainty of 2017, I want to support us good, weary people by offering pages from my book Perseverance, published in 2010. If you sign up (by clicking here), you will receive one page every week for fourteen weeks. I’ve selected fourteen pages from the book that I feel of most value as we continue to do meaningful work in the midst of increasingly difficult circumstances. I offer this as my gift to you. The Chinese character for Perseverance describes our challenges well: The ideogram is two elements–a knife suspended over a human heart. I feel the presence of this knife over my heart every day now. There is so much suffering, so much fear, so much uncertainty. Yet the task is to resist closing down from fear or fatigue. Our hearts need to stay open and, at the same time, we can’t succumb to the grief and anger that is so present as our hearts see what is happening to our precious world and all its beautiful people. My own work continues to focus on how we develop the skills of compassion and insight as Warriors for the Human Spirit, people who vow to train themselves to stay available and present without adding to the aggression and fear of this time. I’ve included the full prophecy at the end of this post. If you would like to receive these weekly reassurances that we can be people who persevere, please click here. You can sign up at any time–the fourteen weeks begins whenever you click. I would appreciate you sharing this with your friends and colleagues if you feel they might benefit from this offering. 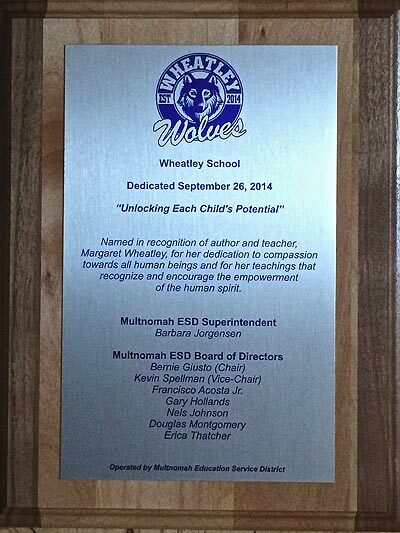 Meg Wheatley received the 2nd Annual Clara Snell Woodbury Distinguished Women’s Leadership Award April 15, 2016 in Burbank CA. Clara Snell Woodbury was the second wife of Francis Chute Woodbury who founded the university in 1884. 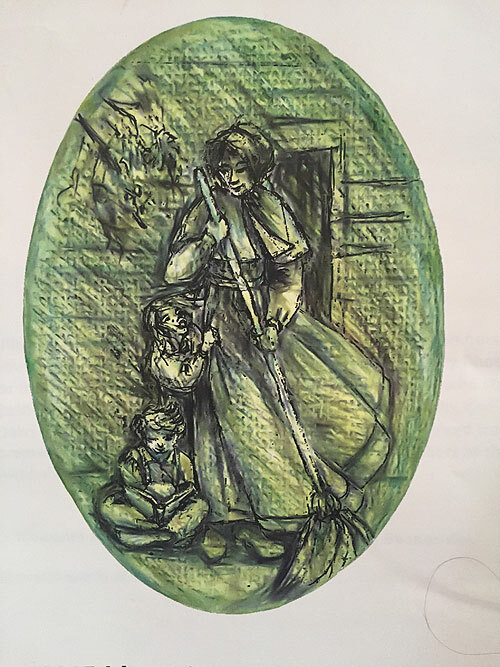 She was a leader in her own right in those times: helping young women develop technical skills to eventually emancipate themselves into the modern workforce and seek positions in the judiciary (first as court stenographers then as early women jurists), nonprofit and private sectors. Meg received the award because she embodies the same forward thinking, intellect and leadership skills whose legacy is honored. At the same event, Meg was honored by Leadership California (www.leadershipcalifornia.com) as part of Leadership California’s 25th Anniversary. Margaret Wheatley has been honored by The Loretto Women’s Network (LWN), awarding her the 2015 Mary Rhodes Award for her international work with women and grass roots traditions. The Loretto Community is a religious community comprised of the Sisters of Loretto and the Co-members of Loretto. The Loretto Women’s Network is a group of feminists within the Community who are active in the causes for equality of women. The award has also been presented to four other outstanding women: Dr. Ghazala Hayat, a strong advocate educating peoples about the role of women in Islam; Sister Simone Campbell, a Sister of Social Service and a national leader on issues of social justice and creator of “Nuns on the Bus”; the laywomen employees at the Loretto Motherhouse for their caring, attentive and respectful service; and Marcellina Otti, a Ugandan woman working with refugees in the Denver area. Wheatley publishes her eighth book, written just after her 70th birthday, a highly personal and reflective memoir of her experiences with sacred world, written in poetic form with dozens of her photographs as well. Each of my books is an invitation to see the world with new eyes. Yet unlike my previous seven books, How Does Raven Know? invites you to see the world anew informed not by science but by sacred wisdoms. I have sought to encourage you to shift your gaze once again to discover the support, confidence, and companionship we need to meet this time. 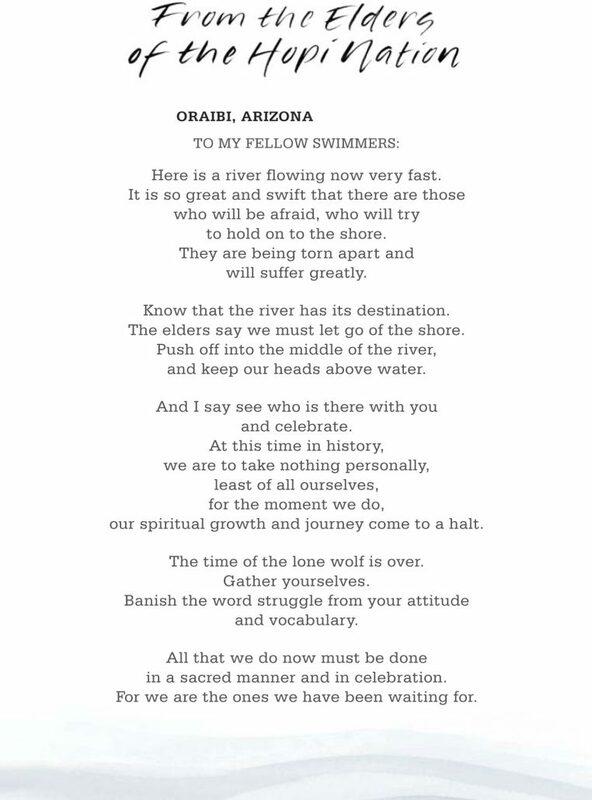 My aspiration is to reintroduce you to a world we modern ones have dismissed or ignored, a world still held for us in the ancient wisdom traditions of most cultures. It is not a call to action, but to relationship with forgotten companions and animate Earth that, in my own experience, willingly offer us support, encouragement, and consolation. 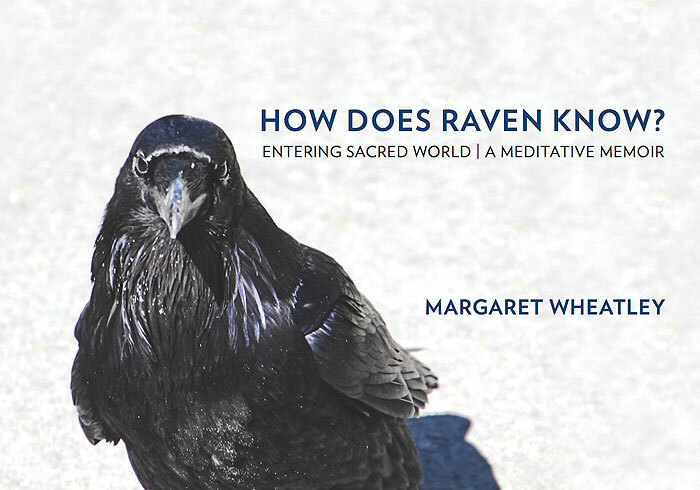 https://margaretwheatley.com/wp-content/uploads/2014/12/front-cover-raven-icon.png 210 300 mrode http://margaretwheatley.com/wp-content/uploads/2014/12/logo1.png mrode2014-11-17 23:42:212015-01-06 21:41:50New Book Released: How Does Raven Know? 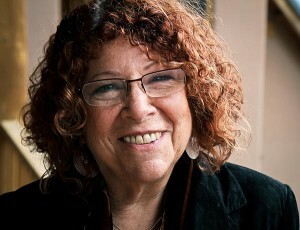 Meg Wheatley shifted the field of leadership in 1992 with the publication of her book, Leadership and the New Science. The book was a revelation to scholars and leadership professionals, utilizing systems thinking, quantum physics, and chaos theory to create a new paradigm of organizational change and development. A bestseller, Leadership and the New Science has been translated into 18 languages and is currently available in its third edition. At the same time, she co-founded, in 1991, The Berkana Institute, a global charitable foundation that worked for 20 years applying the principles of living systems to organizations around the world and creating healthy and resilient communities. Soon to return after a three year hibernation, Berkana continues to blaze new organizational paths by experimenting with what happens when an organization purposefully enters a reflective period of stillness. Wheatley’s recent books all address, from different entry points, the darkness that exists in the world and how humanity can rediscover hope, learn perseverance, and strengthen our communities to work together to meet challenges, meaningfully contribute, and make a difference. Her two latest book are So Far from Home: Lost and Found in Our Brave New Word (Berrett-Koehler, 2012) and How Does Raven Know: Entering Sacred World | A Meditative Memoir (2014).